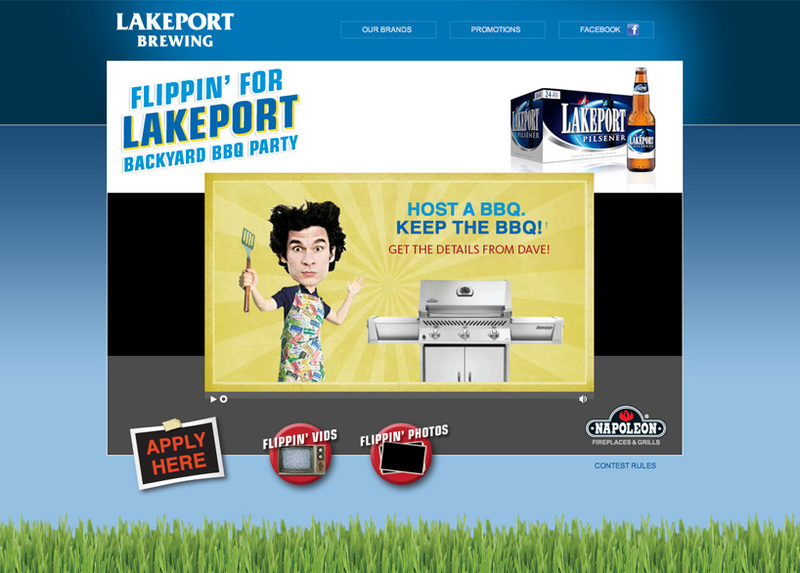 The Flippin’ for Lakeport Backyard BBQ Party contest encouraged consumers to engage with the Lakeport brand and become ambassadors of the product. The campaign was a grassroots and interactive approach that built consumer loyalty. 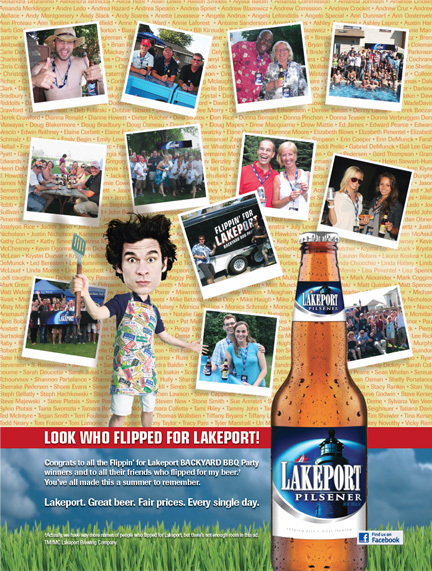 The parties elevated the Lakeport brand image to become a beer of choice that can be shared with friends and family. Dave, our brand spokeperson, was introduced through this promotion. Dave was developed as the typical “guys-guy”, fun and a little quirky but the ultimate brand ambassador for Lakeport. 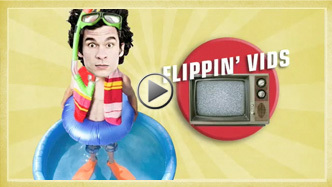 A series of animated videos were devloped to introduce the contest and to generate interest throughout the promotion. Dave was also incorported into rich media and banner advertising. 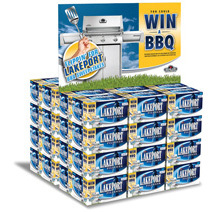 Consumers were invited to enter the contest on both the Lakeport website and Facebook page. 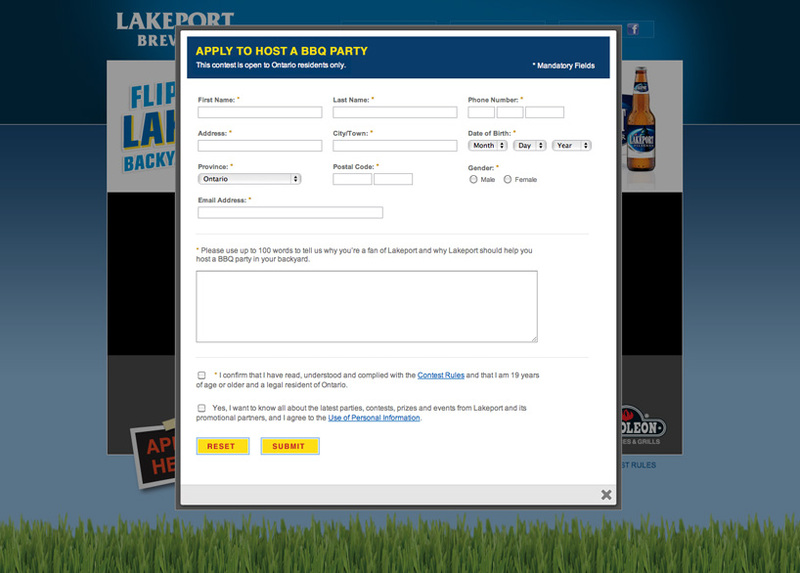 Party photos and videos were posted throughout the contest to enticed consumers to enter. 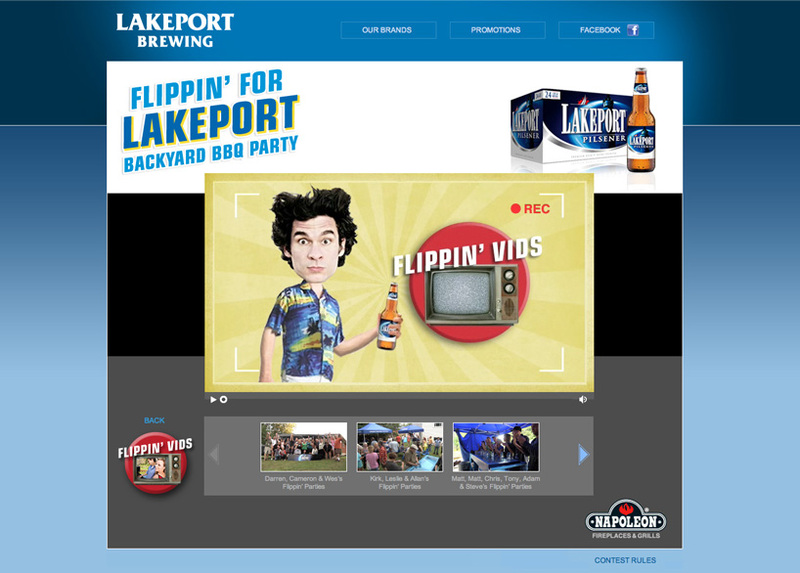 The photos and videos were shareable and created great “buzz’ for the Lakeport brand. The intros were created not only to bring humour and content to the contest but also to help integrate Dave as part the brand personality. 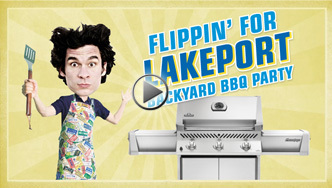 Each BBQ video compilation was introduced by Dave. These intros kept the content fresh and enticed users to keep coming back. To advertise the promotion, online ads ran on Facebook and in several internet channels. The rich media ads allowed the use of animation so that we could use Dave to connect to consumers and introduce the contest. 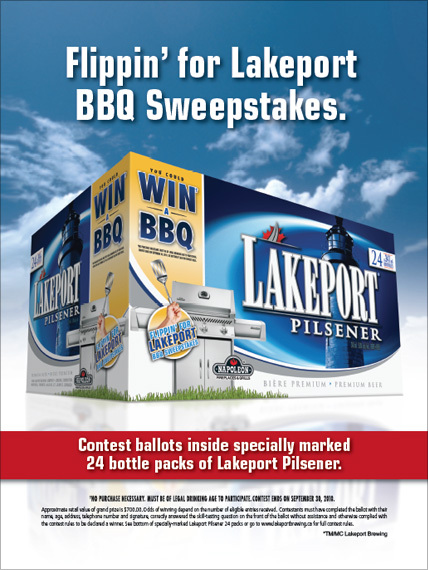 Print ads for the contest also ran in Chill Magazine and case cards were inserted into Lakeport cases. 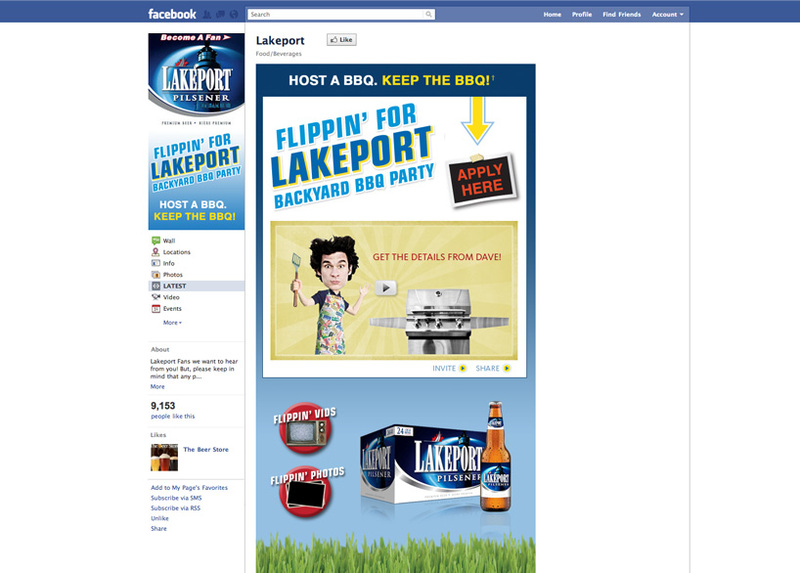 The Flippin’ for Lakeport Backyard BBQ sweepstakes ran after the BBQ parties were complete as a continuation of the campaign. Advertising for this promotion was done in Chill Magazine, along with a radio spot and posts on Lakeport Facebook page. 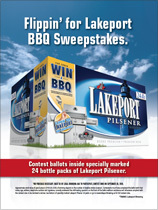 The sweepstakes promotion consisted of in-pack case cards, on-case promo flash and an on-premises display at The Beer Stores.